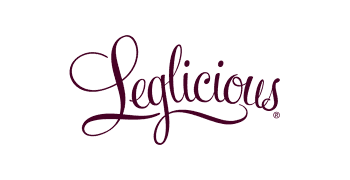 leglicious.co.uk maintains the highest levels of payment security. You can tell whether a page is secure as 'https' will replace the 'http' at the front of leglicious.co.uk in your browser address window. A small locked padlock will also appear in your browser window. Our checkout process uses Verified by Visa, Mastercard® SecureCode™ and PayPal. These services enhance your existing accounts against unauthorised use when you shop with us. If you have further questions you would like to ask concerning our payment security, please contact us to discuss your question further. Your confidence in our website and internet security is really important to us, so we've put together some advice to help keep you safe and in control when you shop online. We appreciate that remembering passwords can be tricky, but setting effective and secure passwords on all the sites you use is vital in combating possible fraudulent activity using your personal details. We'll never ask you to send any personal details via email. If we require such details, for security reasons we'll ask you to contact us by phone. Should you receive an email claiming to be from leglicious.co.uk requesting this kind of information, please don't respond, but do let us know about it.